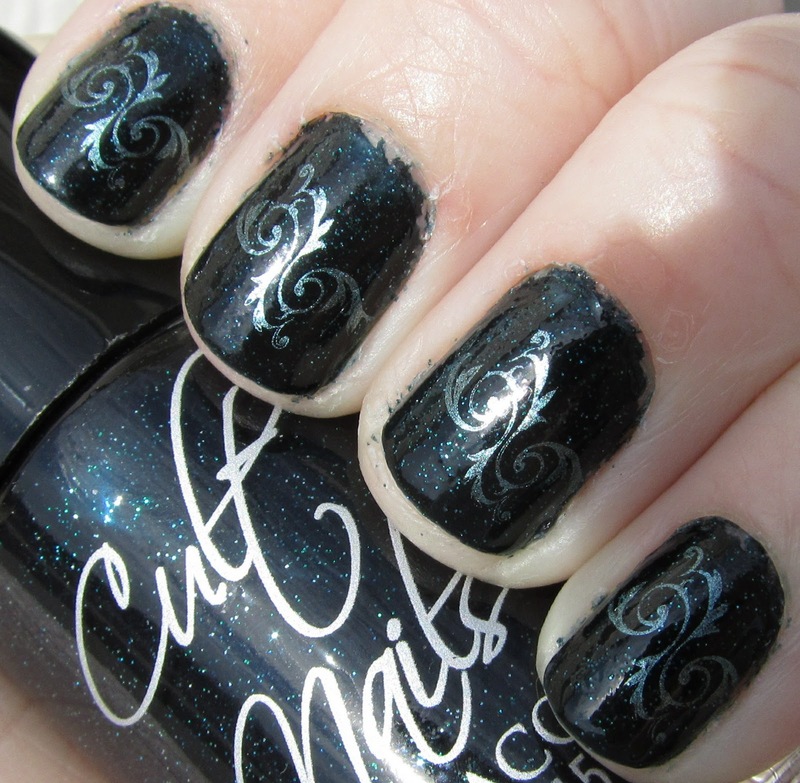 This is two coats of Cult Nails Living Water, a navy blue jelly polish with blue and green glitter. This polish was inspired by bioluminescence that can be seen by underwater organisms... what a great idea! Application of this polish was great, going on smooth with a fast drying time! I used a wave-like design from Bundle Monster plate BM12 and China Glaze Adore for the pattern, which I thought went very nicely with this polish! I got several compliments on this manicure! I have really enjoyed all of the polishes I have tried so far from Cult Nails - you should definitely go check them out if you haven't yet! This color and the design look really pretty together! Living Water is GORGEOUS!! And your stamping looks good with it. I have nubbins now, too...so frustrating!